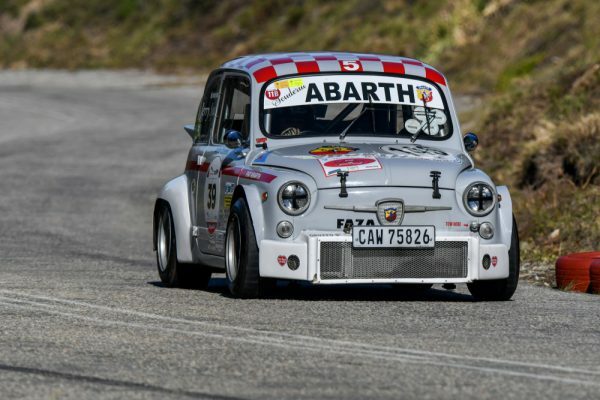 Franco Scribante once again stamped his authority on the event by taking his fourth Classic Conqueror title. 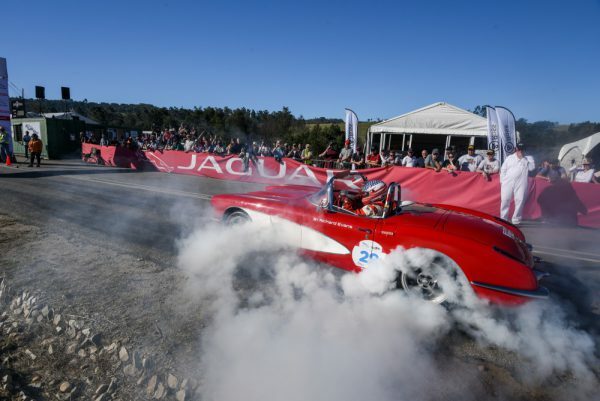 The 2018 Jaguar Simola Hillclimb weekend got off to a spectacular start today with Classic Car Friday delivering its usual enthralling mix of iconic cars and drivers, and plenty of on-track action. Franco Scribante once again stamped his authority on the event by taking his fourth Classic Conqueror title, and his third in a row, after yet another dominant performance in his immaculately prepared 1970 Chevron B19. The ninth edition of South Africa’s premier motoring and motorsport lifestyle event was held in idyllic weather conditions, with an impressive turn-out of enthusiastic spectators for the first day of the Hillclimb. As expected, Class H5 for pre-1990 sports racing cars and single seaters dominated the timing sheets throughout the day. Scribante was in a class of his own from the start, setting the outright quickest time of 41.615 seconds in the morning practice session, but the times only count during the qualifying and final runs. He remained a model of consistency though, setting an impressive time of 42.074 sec in his only qualifying run, followed by a 42.491 sec in the class finals. During the final one-lap dash for the Top 10 Shootout, Scribante proved yet again why he is regarded as one of the consistently fastest drivers in the country – after charging through the 1.9 km course in a final time of 42.196 sec. “This is a fantastic way to start off the 2018 Jaguar Simola Hillclimb,” Scribante said. “It’s a great win for the team as we’ve had a bit of bad luck when I had a big accident earlier this year, and my crew has been working flat-out for the past three months getting everything prepared for this event. “The Chevron ran beautifully, and although we won by a decent margin, it’s clear that the other competitors are pushing hard and made up some ground compared to last year. Second place overall and in Class H5 went to Ian Schofield in his 1977 March 77B, which is a stunning and mostly original example of one of the legendary Formula Atlantic single-seaters from the period. Schofield achieved his best run of the day in the Top 10 Shootout, crossing the timing beam at the top of the course in 45.433 sec. Peter Jenkins, driving his 1971 Chevron B19, took the final step of the overall podium for the second year in a row after notching up his best-ever time at the Jaguar Simola Hillclimb of 45.882 sec – also achieved in the Top 10 final dash. The best of the rest in the Classic Conqueror shootout was Andre Bezuidenhout who finished fourth overall and first in Class H8 on his first appearance in Classic Car Friday. 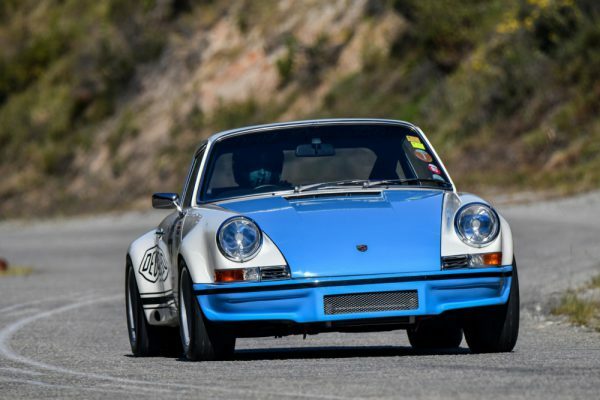 As the reigning Kill of the Hill, Bezuidenhout used his previous experience at this event to great effect, powering his 1975 Porsche 911 Carrera RSR Turbo to a class-winning time of 47.579 seconds. This was 0.483 sec quicker than fifth-placed Graeme Nathan, who claimed the Class H7 win and performed his well-practiced routine of delighting the crowds with spectacular start-line burn-outs in the 1972 BMW 3.0 CSL owned by Peter Kaye-Eddie. 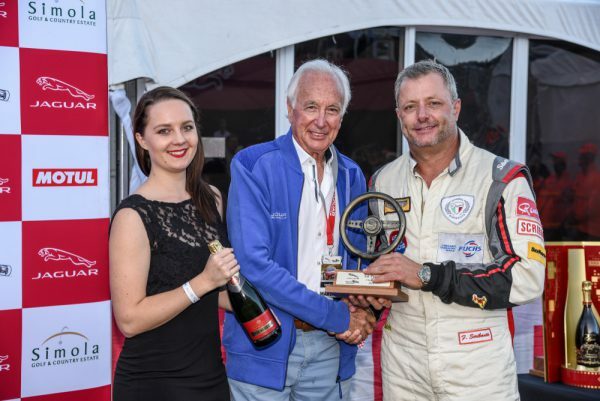 Winner of the 2015 Classic Conqueror title, Charles Arton, competed in his 1972 Datsun 240z this year after his March Formula Atlantic was tragically destroyed in an on-trailer fire on the N2 following the 2017 Hillclimb. He was rewarded with sixth place overall with a time of 48.333 seconds, and second in H7. Peter Lindenberg set the seventh fastest time of 49.081 sec for Classic Conqueror in the iconic 1965 Shelby Ford Mustang GT350 and picked up third place in Class H7, followed by Class H8 podium finishers Josh Dovey (1964 Ginetta G4 R) and Mike Ward (1999 Lotus 23). 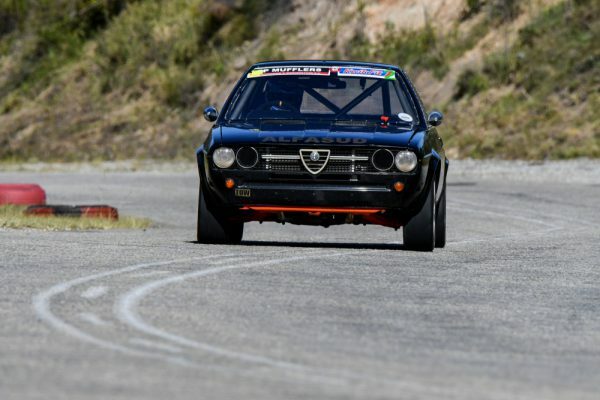 Trevor Tuck rounded out the Top 10 Shootout with an impressive time of 50.761 seconds for the race-prepped Alfa Romeo GTA, and he also took the Class H6 win. Peter Hollis claimed the Class H4 victory in his 1964 MG Midget, with Craig Wessels earning the Class H3 trophy in his thundering 1968 Pontiac GTO. Ron Hollis was unbeatable in the gorgeous and very quick 1966 Jaguar E-Type and took home the Class H2 title, while Heyns Stead was victorious in Class H1 in a 1950 MG Spider. The special Spirit of Dave Charlton Award recognises the person that reflects South African race legend Dave Charlton’s spirit of impeccable attention to detail, meticulous preparation and commendable performance. 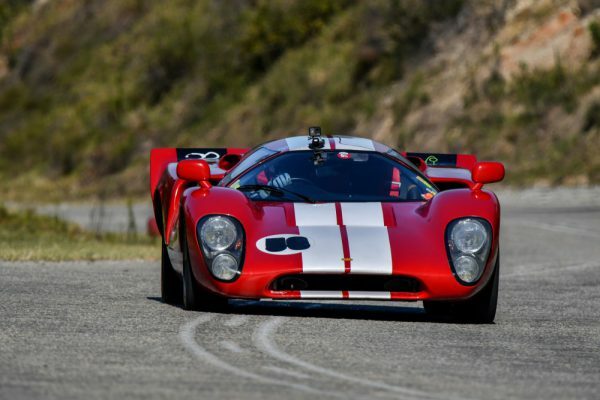 For the 2018 Jaguar Simola Hillclimb, the Spirit of Dave Charlton Award for Classic Car Friday went to Brian Bruce, who competed in his fifth Jaguar Simola Hillclimb this year in his 1965 Ford GT40. Bruce is an avid car enthusiast and is the owner and curator of Classique Edge in Knysna, which incorporates an exhibition of the Parnell Bruce Collection of heritage automobilia. The collection is a private venture for the preservation and enhancement of rare and iconic heritage automotive assets, and includes a trio of GT40s, an immaculate fully restored Ferrari 365 GT and a wide selection of other significant cars amongst the collection that pays tribute to the automobile industry over the decades, with a strong South African bias.